Travelling around the world is a dream of many people, but, few of us ever to do it, because we are too busy working. Well, now there is a new kind of world traveller, the travellers who work while they see what the world has to offer. Working your way around the world, used to mean grape picking and staying in hostels but that’s not the only option today. 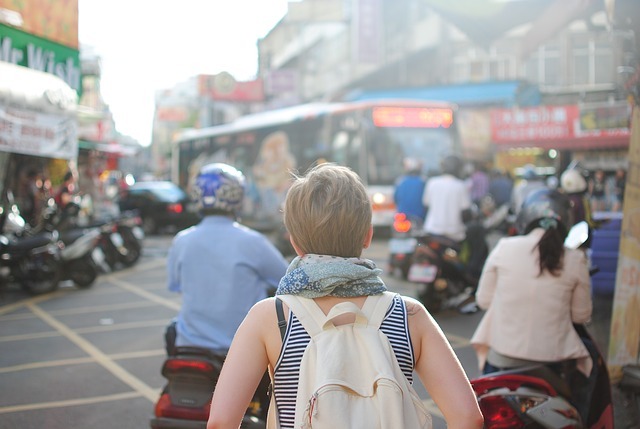 Here are ten ways you can earn a living and travel at the same time; ten Ways to make money while travelling the world. You can make pretty good money by setting up your own blog on the internet. You can set up a blog for free, on sites like blogger.com and then, you earn revenue from advertising and affiliate links. It can take a while to build an audience, and you have to post regularly, but, at least if you are travelling the world, you will have plenty to write about! There are lots of opportunities around the world for native English speakers teach English Language. Many overseas governments actively promote the learning of English and if you do a search on Google for ‘English Language teaching jobs abroad’ you will find a lot of opportunities. Teaching English can be a good option, because it will give you a bit more financial security than some other types of jobs abroad. Another great way of seeing the world is, of course, to become a flight attendant. The pay is not bad, the hours are pretty good and you also get some amazing discounts on personal travel too. Get a job on a cruise liner and you travel free, with all expenses paid. You might be in for some hard work and long hours and the pay won’t be great, but you will have a secure source of income while you travel. If you have the gift of the gab, then being a tour guide will give you an income while you travel. You can either sign up for one of the big travel companies or, you could go freelance instead. Being with a big company will give you more security, but many people do freelance too, and freelancers will give more options on where you want to travel to. There are quite a lot sites on the internet where you can offer your skills for hire for small, one off jobs. One of the best known of these is Fievrr.com, where you can offer to do things like designing logos, making videos, or writing short articles. If you are able to work from home some days, then why not work from home, when you are away? Most major towns and cities in the world have a reasonable internet connection now, so you can email and stay in touch, without ever having to go to the office at all, wherever in the world you happen to be. There’s always a demand for photos from around the world and you can sell your images of your world journey to travel companies, stock photo websites or on your own website. All you are going to need is a decent camera and a bit of imagination. 10. Do a bit of everything! The best way to earn money and travel at the same time is probably to try your hand at several of these options. That way you will have the flexibility to travel anywhere you want and when you want and still be earning money at the same time. The days of being stuck in a boring nine to five job, are coming to an end!